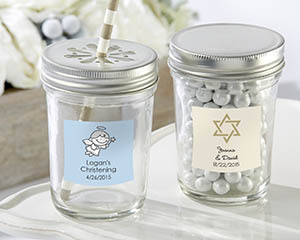 Your religious milestone deserves personalized clear glass mason jars from Kate Aspen to commemorate such a special day. 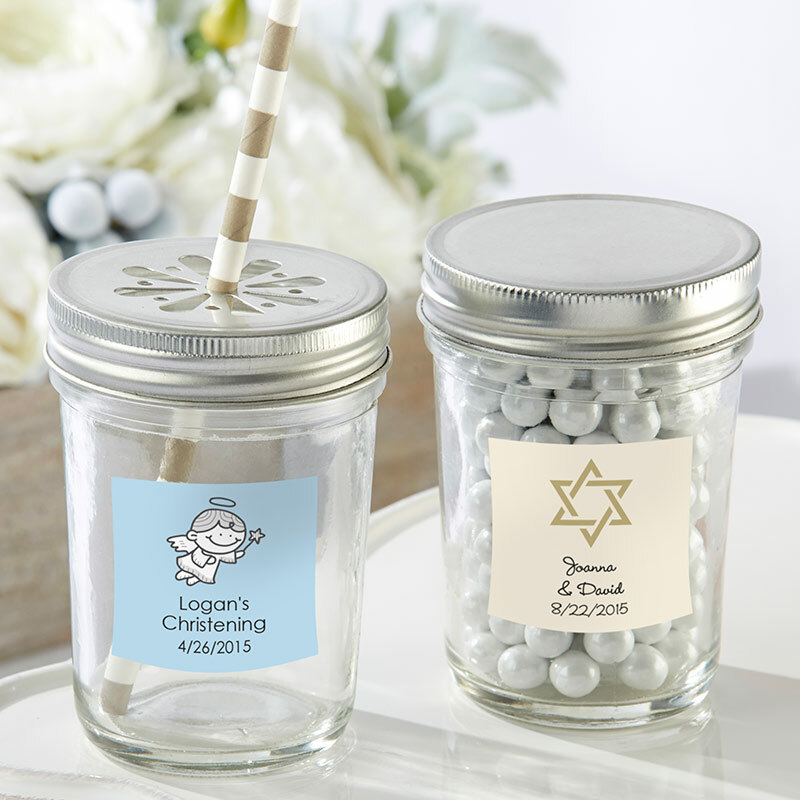 Pack them with favors, flowers or signature event drinks and add your personal touch through a variety of colors, fonts and monogram designs. The daisy style lid is also perfect for holding straws.